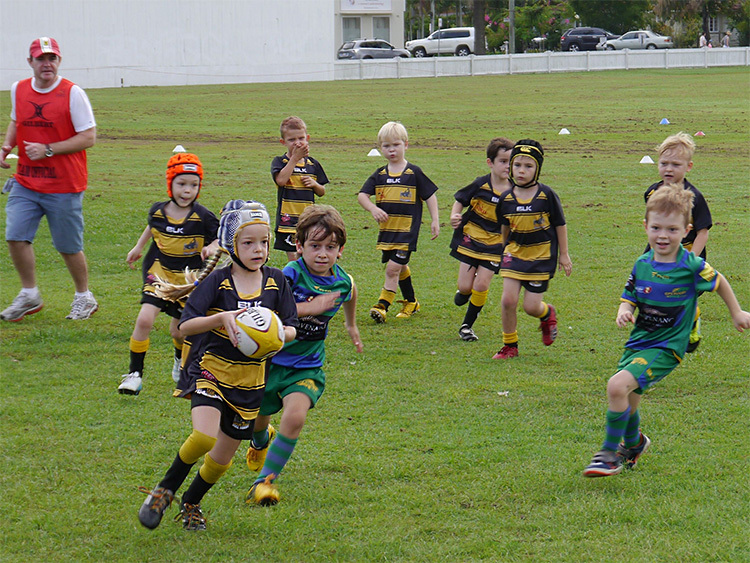 Puppies (3-5), Under 6 and Under 7 play Rugby Tag only – there is no tackling. All coaches are Smart Rugby Safety Accredited. The focus is on fun and development – the score comes later. Rugby Australia (RA) has developed the Kids Pathway to address any concerns a parent may have about their child playing rugby union. There is no tackling for players under 8, the focus is on fun, making friends, and learning some basic skills, winning or losing comes a very distant 4th place. No matter if you have a boy or girl, your child is small or big there is a fun to be had with rugby. The UQ Junior Bullsharks utilise the resources of the RA and the Try Rugby program that introduces players through age specific modified rugby games. These games are played in a controlled environment with safety as a priority. We also have excellent support for our parent coaches provided by UQRFC Coaching Academy. Remember to make it about fun.